Novofex CRM Solutions are customized to run and organize your entire business with one program. 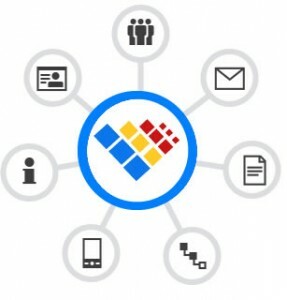 Our custom CRM approach focuses on learning and understanding your business and developing an a CRM that is built to provide you and your business with an intelligent application that will help manage all your customers, leads, contacts, tasks, sales opportunities and marketing campaigns in one easy-to-use system. These ALL-IN-ONE solutions consist of Customer Management, Lead Management, Project Management, Customer Portal, Calendar and Task Management, Reporting, Document and File Management, Team and Access Control, Inventory Management and so much more. Novofex CRM Solutions provide what your company/organization needs for sales, for marketing, for support and any other type of task that need to be organized and completed. Custom Approach for Small Business or Enterprise. Tear down the barriers between sales, support, project and management teams. Every part of your business working from the same platform. Open API and integration tool set.